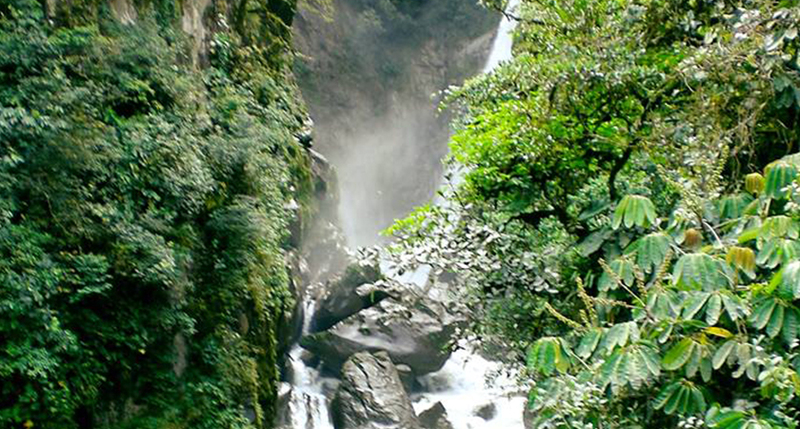 Baños is a perfect stay for anyone that loves adventure and the wilderness! There are many activities available, such as: biking, canyoning, rafting, hiking, and more! However, it’s not all adventure. There are many places to enjoy a nice massage and relax in thermal pools. Tourists from all over the world commonly visit Baños. This town is situated in a valley of waterfalls and hot springs. For this reason, Baños is known as ‘The Gateway to the Amazon’. In other words, it’s a hub for adventure and natural beauty! Aside from all the activities and adventure, this town offers much more. This includes impressive and breathtaking views of beautiful waterfalls, the Tungurahua volcano, and the beautiful surrounding mountains. Don’t forget to visit the artisanal markets and find a souvenir perfect for you! Anything you do in Baños is sure to make your stay unforegettable!